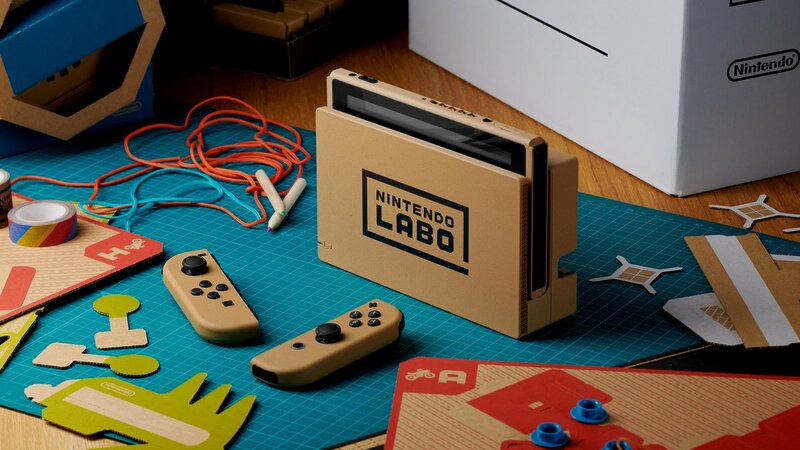 Nintendo has announced a new prize for the second Nintendo Labo Creators Contest taking place in Japan. 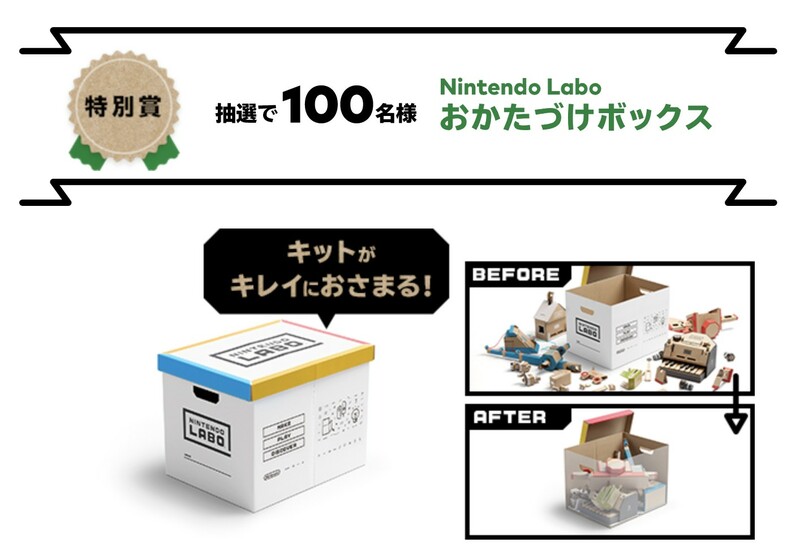 Besides the Nintendo Labo Edition Nintendo Switch console and Joy-Con, 100 lucky winners will be selected at random to win a Nintendo Labo Tidying Up Box. 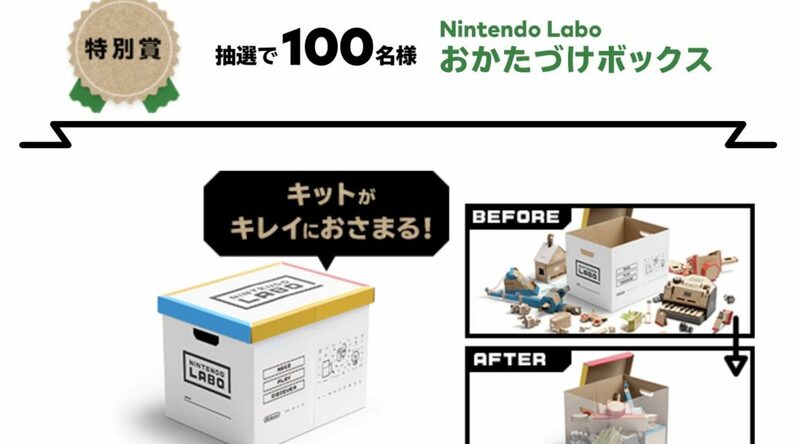 The cardboard box, decorated with Nintendo Labo logo and artwork, is capable of storing every single Toy-Con created in the Nintendo Labo Variety Kit. It appears that this particular prize is currently exclusive to Japan. As a bonus, we have a new picture of the Nintendo Labo Edition Nintendo Switch and Joy-Con, which are the top prizes for the contest in Japan and the west.